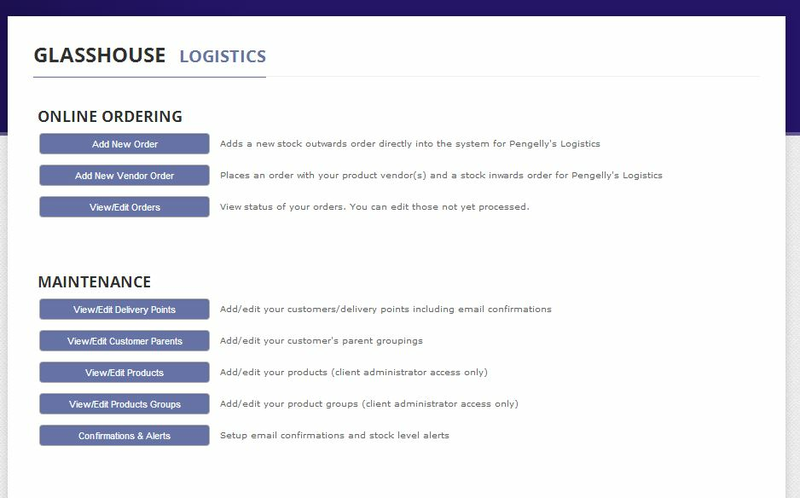 The Logistics section of Glasshouse gives you a full view of the products we are handling on your behalf. 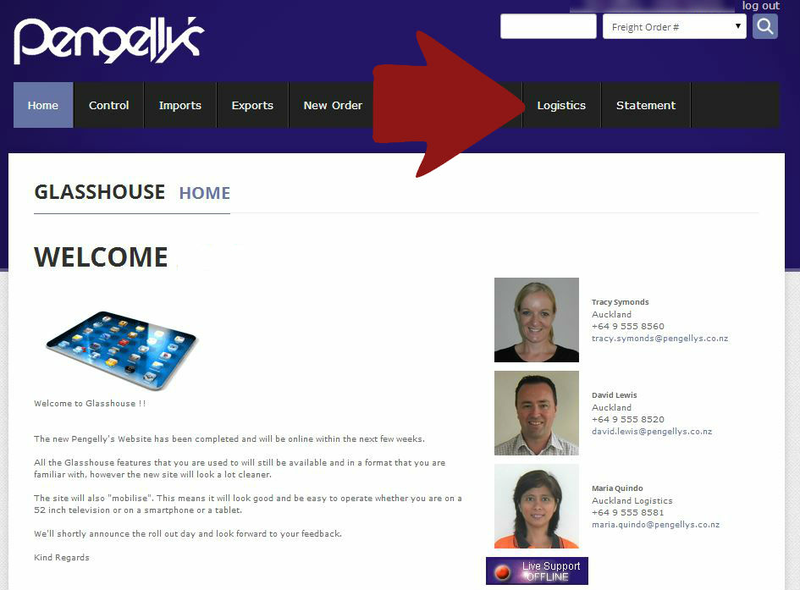 Once you have logged into Glasshouse select the "Logistics" tab. You will then come to our Logistics Menu. The top half is the operational and maintenence section and below that is the reporting section. We will start with the top section first and it looks like this ..
- Using Glasshouse - Clients click the Add New Order button and prepare an outward order. 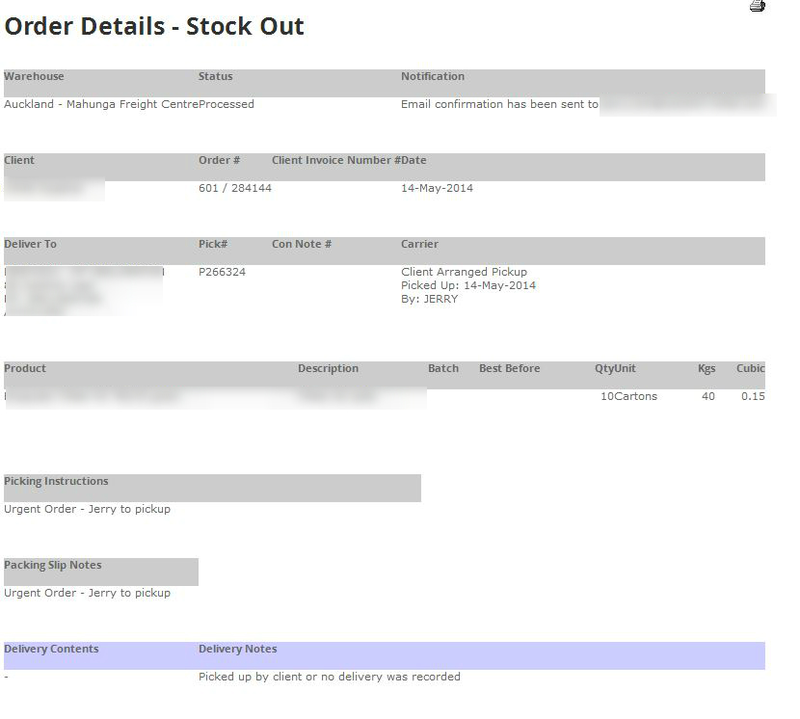 This has the advantage that you can see directly what stock you have onhand. 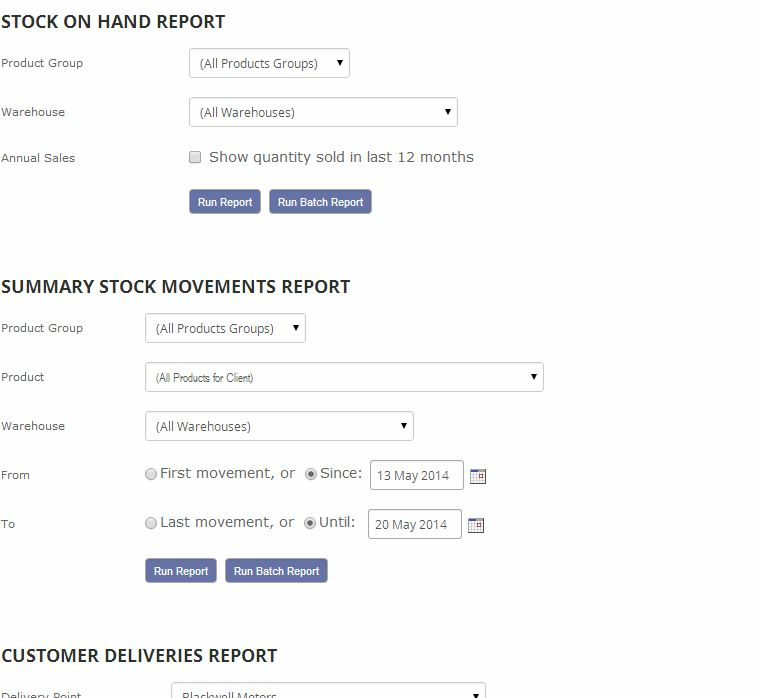 Whilst New Orders relate to product that will be going out from our Warehouse - Vendor orders are for product that you have ordered from your suppliers and will be coming into the stock at our warehouse. The options for these are the same as above. 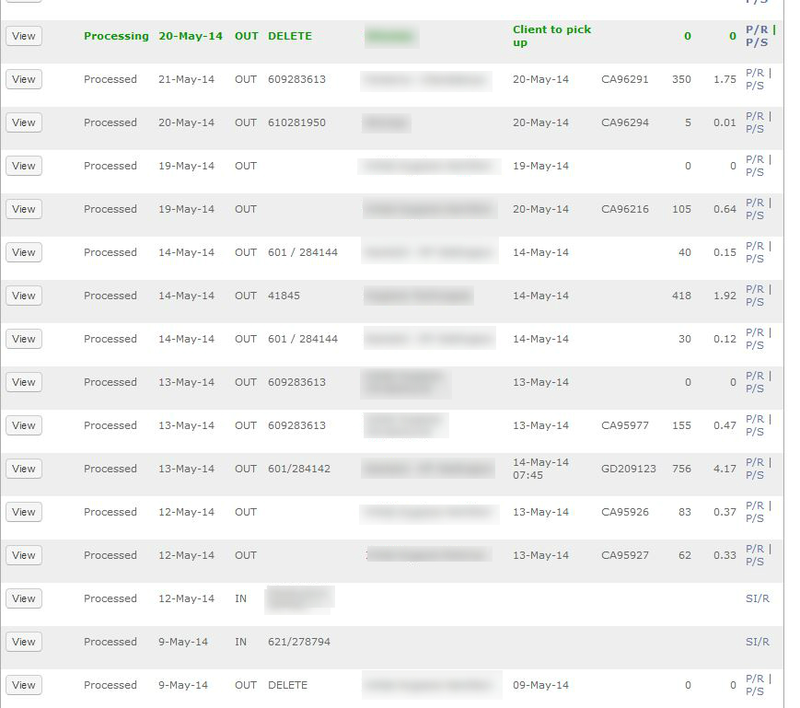 This is the working Screen and shows the ins and outs of your products as below ..
We can tailor Reports that you may require - however we already have a number of existing Reports that you can use to monitor activity both of your products and cl;ients.